* Please note: You are not required to pay via the online option but it is available for your convenience. I also accept checks, cash and credit cards and your participation in any class will be confirmed when payment is received. All classes are held at the Montgomery County 4H Center in Skippack. Deadline for registering for any class is two weeks before start date. Please call or email for class availability if within 2 weeks of start date or if class only lists one or two available spots. **If you foster dogs, please contact me about class before signing up: there is a wait period for coming to class after you bring any new dog into your household that has come from shelter or off transport and new dogs cannot be brought into your home through the duration of class. Class is open to puppies who are 5 months and under at the start of class and have had at least their first round of core vaccines (please note most puppies are too young for rabies so that is not required for this class.) Read the AVSAB position statement on socialization before fully vaccinated by clicking here. Minimum 2, maximum 8 puppies. ***Would you like to start training before class begins? Get $20 off a puppy private session when you pay for class and a session together! This 6 week class utilizes the Volhard Motivational Method to teach handlers and dogs basic commands sit, down, stay, come, heel, leave it, look at me and a few more! Become experienced in different handling techniques, how dogs think and learn, hand signals and working through distractions. Class concludes with the Canine Good Citizen Test! For more information on the CGC please visit: http://www.akc.org/dog-owners/training/canine-good-citizen/ Class is limited to 6-7 dogs and dogs must be at least 4 months old at start of class. Do you want a fun way to learn how to refresh and refine responses to commands, have your dog respond to you from a slight distance, with a loose leash and with distractions present....even through an obstacle course? We'll take the basic commands and use them through obstacle course stations each week! Each handler will also learn how to improve your dog's focus and gain your dog's trust to teach them the stations and new behaviors. The class is limited to 7 dogs. 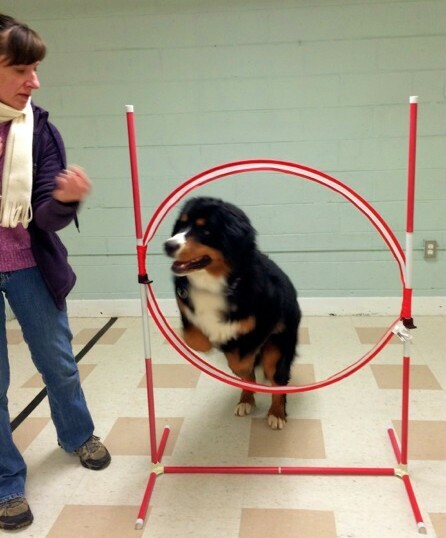 A new take on agility type training! Every week participants bring random objects and we use them to create an obstacle course for your dog so there is a new course each week. Past objects have included pop up tents, step stools, umbrellas of all sizes and laundry baskets. I will also being the agility tunnel each week. While we don't do formal obedience exercises in this class, you have to use the basic commands and creative handling to get your dog through the course. If you have multiple dogs you can rotate who you bring to class. Limited to 7 dogs. Have fun and refresh basic commands! Six weeks long, this class has a different subject each week that combines training and fun! Subjects include clicker training, games/tricks, new and interesting commands, unique obstacle courses, charades and a rally course. Get a little taste of the Basic Level II, Tricks and Rally class all in one place! Knowledge of basic commands helpful but not necessary. Dogs must also be dog friendly as some of the exercises we do have them in close proximity to each other. If you have multiple dogs in your household, you can even bring a different dog each week as long as their rabies is on file! Class limited to 6-7 dogs. Take your dog's obedience even further! Now that they have great basic skills, let's take those commands and work towards doing them off leash. Learn how to keep their focus to achieve off leash heeling, different command sequences and even through an obstacle course! The class is limited to 6 dogs. If you have multiple dogs you can rotate who you bring to class. Do you want to have that dog that is the life of the party? Let’s teach that pup some tricks! Learn three different training methods to teach your dog tricks like commando crawl, roll-over, high five/shake, bow, circling, play dead, snarly face…you get the idea! At the end of class we will take the AKC Trick Dog Title test which is open to all dogs purebred or mixed breeds! 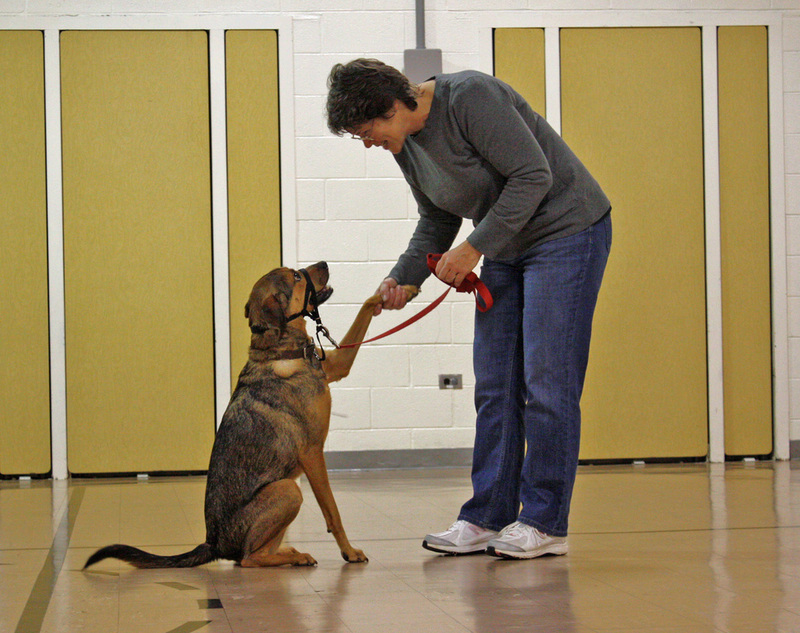 For Trick Dog info please visit: http://www.akc.org/about-trick-dog/ Class includes minor physical exertion for handler (sitting/kneeling on ground, etc.) Class size limited to 6-7 dogs. Do you have a dog that reacts inappropriately to the world around them? Do they act like every person or dog needs "stranger danger" protocol by barking, growling, jumping or lunging at the sight of a dog or person? Do their reactions make it difficult to take them places? This five week course will help you identify your dog's reasons for their behaviors and teach you handling methods and solutions to help work through them to make your pup more comfortable, calm and confident. This class is limited to 4-6 students. Please note that I do not have the facility capabilities of offering make up classes, however should you miss a class the homework will be sent to you via email.